At each Words & Guitars reading, hosts Michael Tedder & Zach Lipez always break the ice. 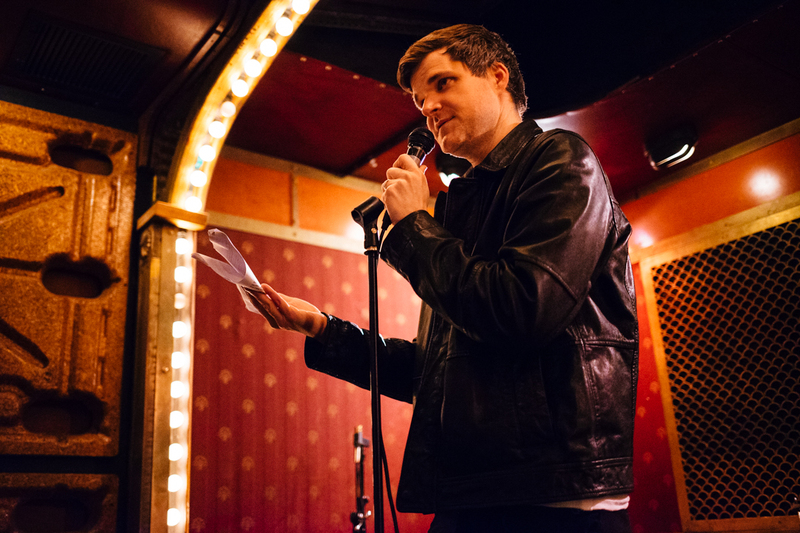 In the spirit of our live show, we being the Words & Guitars podcast with a reading by co-host and co-founder Michael Tedder (Esquire, Stereogum, The Daily Beast, Variety). He reads a piece about his limited experience as a DJ and the troubles that came with it. Lovelorn, snobby and unable to read the room, Michael shares his tale of growth and maturity in his love for music and romance. Recorded June 20, 2017 at Hi-Fi Bar in New York City.